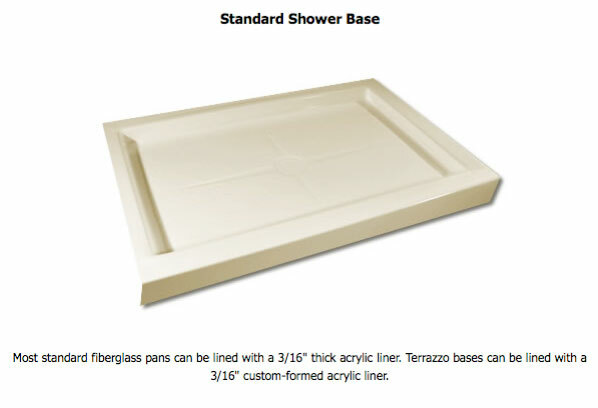 If you have a tiled shower or shower pan that needs to be updated, you’ve come to the right place. In most cases it would be very costly and time-consuming to tear out that old tile or cultured marble walls. We have the perfect solution: Shower Liner & Wall Surround, & Ceiling system. Thickness of acrylic sheet: .185"
The process is simple, any damaged or loose material will be removed, then we install a new slip resistant shower liner made of our DR/ABS Acrylic directly over your existing surface. Making your new shower water tight for many years to come. Add a new shower door with many unique styles of glass to complete the project and design a shower you will be proud of for many years to come! Simply call 781-733-5405 or sign up for a Free in-home consultation. We look forward to helping out with all your bathroom remodeling needs! South Shore Dream Bath has proudly served the South Shore, North Shore, and Cape Codhomeowners for years and continues to earn repeat business from our many satisfied customers. We offer the highest quality shower liners at an affordable price and we stand by our craftsmanship. Our Mission is simply to make your bathroom remodeling project a smooth process and build a relationship that will last for many years to come. 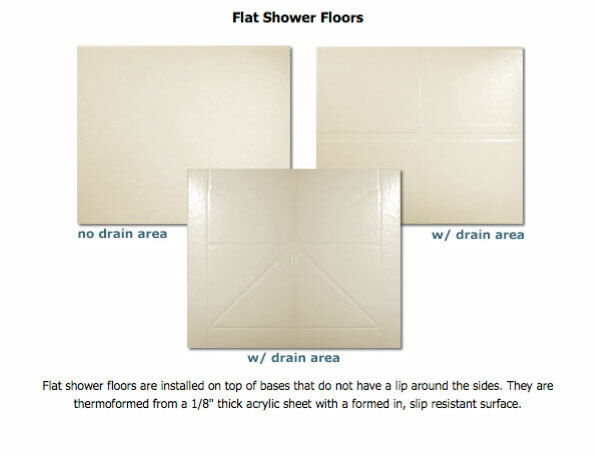 We custom form our showerliners to fit over your existing shower base.